award-winning landmark that started for its author an esteemed career of fiction and political commentary that continues unabated. marriage lasted only four years. Roy had taken a job at the National Institute of Urban Affairs and, while cycling down a road; film director Pradeep Krishen offered her a small role as a tribal bimbo in Massey Saab. She then received a scholarship to study the restoration of monuments in Italy. During her eight months in Italy, she realized she was a writer. Now married to Krishen, they planned a 26-episode television epic called Banyan Tree. They didn't shoot enough footage for more than four episodes so the serial was scrapped. She wrote the screenplay for the film In Which Annie Gives It Those Ones and Electric Moon. Her next piece caused controversy. It was an article that criticized Shekar Kapur's film Bandit Queen, which was about Phoolan Devi. She accused Kapur of misrepresenting Devi and it eventually became a court case. Afterwards, finished with film, she concentrated on her writing, which became the novel "A God of Small Things." It is based on what it was like growing up in Kerala. The novel contains mild eroticism and again, controversy found Roy having a public interest petition filed to remove the last chapter because of the description of a sexual act. 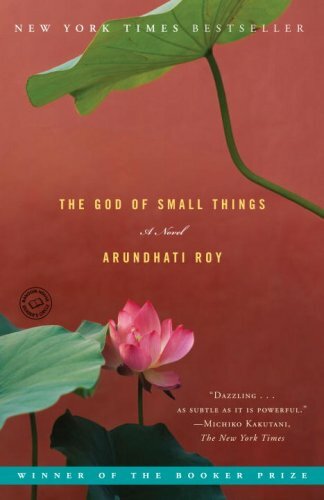 It took Roy five years to write "A God of Small Things" and was released April 4, 1997 in Delhi. It received the Booker prize in London in 1997 and has topped the best-seller lists around the world. Roy is the first non-expatriate Indian author and the first Indian woman to win the Booker prize.